In this special show guest-hosted by me, Bart Busschots, we’ll start with some quick first impressions of Due for Mac from listener Helma, then I’ll give you a quick review of my new Tenro mic boom, then we get to enjoy a conversation Allison had with Rob Wood about Unsharp Masks at MacStock, then I tell you about two Mac Apps I’ve recently started using, the Markdown editor Byword and the stickies app Memo, next listener Shai tells us about some of them alternatives to the Photos app and Adobe Lightroom, then I recommend the FoodStuff podcast before listener George from Tulsa shares a review of some cool safety features in his new Rav 4 Hybrid, and finally, I do my best to do a solo Security Bits. Hi this is Bart Busschots guest-hosting the NosillaCast Mac Podcast, hosted at Podfeet.com, a technology geek podcast with an EVER so slight Apple bias. Today is Sunday the 30th of July 2017 and this is show number 638. Allison is out of town being a good grandmother to her beloved grandson, so I’m here holding the fort. We have lots of fun stuff to talk about, and plenty of great content sent in by the Nosillacast community, thanks to everyone who responded to Allison’s request for content – you guys made my life a lot easier! In this week’s Chit Chat Across the Pond, Rod Simmons is back with Allison to talk about electric vehicles. In part two Rod and Allison talk about some of the small, but significant advances in autonomy that have already creeped into our cars and how they’re helping to keep us safer. They also ponder why automation and electric vehicles seem to go hand in hand. Check out Chit Chat Across the Pond or Chit Chat Across the Pond Lite in your podcatcher of choice. I heard you talk about Due for the Mac. I have both versions for iOS and Mac. Separately they work fine and entering entries on the Mac sync to the iOS version. Usually. However, checking off notifications doesn’t sync well. I often end up marking done the same entry on both my watch and my Mac. I’ve tried syncing through Dropbox and syncing through iCloud. Both behave the same: erratically. I’ve tried resetting the syncing by following the instructions of the developer, and then it works ok for a while until it starts to go out of sync again. I’m about to give up on notifications on the Mac, because the iOS version works reliable and is always close at hand either on my wrist or on the phone. This is the first Nosillacast I’m recording with a new mic boom. For years now I’ve had a desktop mic stand that I have to store on a shelf and lift in and out of place on my desk each time I record. It’s not difficult, but it is annoying! I’d always assumed mic boom arms were expensive, but I spotted one on Amazon for just £11.99 (on sale at 50% regular price), so I figured I had nothing to lose – if it was cheap rubbish at least it was cheap, and if it turned out OK, wow, did I get a good deal! Not only did it turn out to be OK, I’m shocked at how rugged and sturdy this thing is for such a cheap price! If you’re interested, you can order this boom arm on Amazon, and remember to use Allison’a affiliate link for your country. Note from Allison: The Tencro stand isn’t available in the US Amazon store. While Allison was at Macstock, Bob Wood approached her to talk about her confusion on the term Unsharp Mask. Allison and I had previously discussed this on Let’s Talk Photography quite some time ago. I love that Bob was able to call back to something we did so long ago, and give Allison such a nice description of why we want to achieve different levels of sharpening at different types of edges. Bob Wood’s photography website is at DangerousBobPhotography.com. He’s also an officer of the Tucson Macintosh Users Group TMUG.com. You can email him at bob@thinkbob.com. For years I’ve been using macOS’s built-in TextEdit app in plain text mode to solve two problems, but neither well. Firstly, I wrote my show notes in it using Markdown, and, I used separate TextEdit windows as iCloud synced sticky notes. The markdown experience was OK for long-form text, because long-form text in Markedown is 95% text with just the odd markup character here or there, but, show notes for things like Security Bits and Let’s Talk Apple are very different to long-form text. They are almost all markup, because it’s link after link after link. What you get with content like that in an editor without any kind of syntax highlighting is a confusing mess on screen! 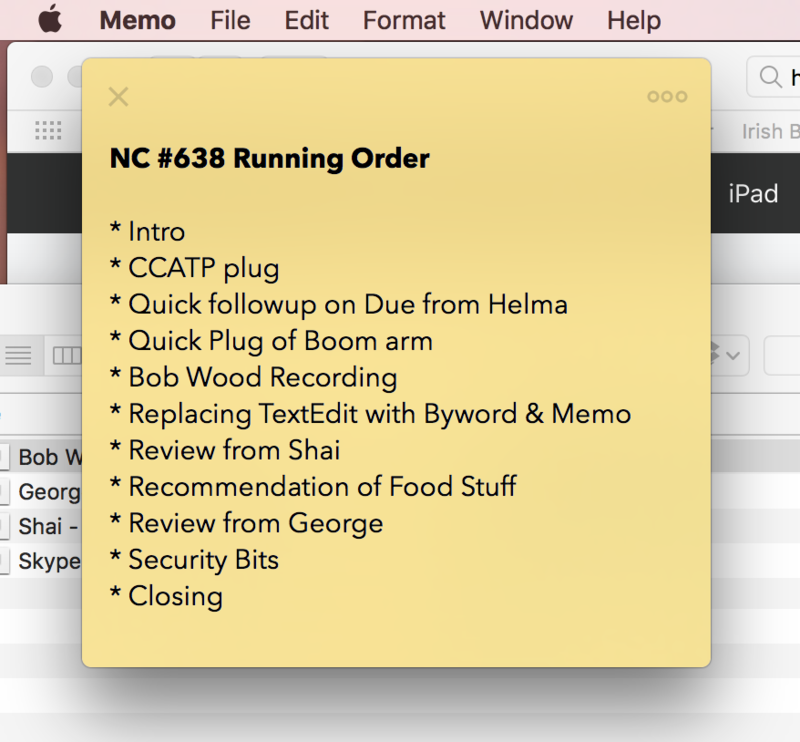 Meanwhile, as sticky notes, TextEdit was not great because while every new note is auto-saved into your iCloud, you get badgered to name and save the note each time you close the app. Also, while the content is synced via iCloud, your window state is not. Firstly, a really light-weight editor that starts really quick, has iCloud integration, has a very clean interface with as little as possible UI, and does nice markdown syntax highlighting. In fact, ideally, not just highlighting, but, live markup, so headings would automatically stand out, italic text would turn italic, and so on. Secondly, I wanted a modern replacement for the old stickies app that syncs over iCloud, is small and light-weight, and looks like sticky notes. Byword is extremely fast to load, and the UI is wonderfully simple. As you type markdown it gets displayed in such a way that you still see every character, but the bold stuff is blog, the italic stuff italic, links fade to grey, and heading stand out. Also, when in a list, hitting enter automatically types the bullet character you were using at the indentation level you were using. I can best describe it as a cross between syntax highlighting and a traditional live preview. As you would expect, there is also an export function to convert your markdown to common formats like HTML and PDF, and a traditional preview mode that can be triggered with a simple keyboard shortcut (option+command+p). I just want to take a moment to recommend a podcast I’ve fallen in love with in the last few weeks. The show is FoodStuff, and it’s a show about the science and history of food from the good people over at How Stuff Works (they have lots of other great podcasts too like Stuff You Should Know). I love learning about the history, culture, and practicalities of the food I enjoy, and I find their science-based approach to understanding the health impacts of food both informative and refreshing – no dumb fads here, just the facts as best we know them, and a candid acceptance of all the things we don’t actually know about the health effects of so many fad foods. 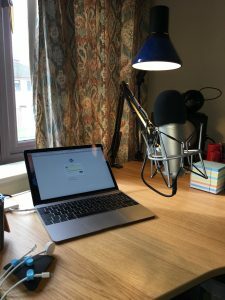 While the guys at How Stuff Works know how to make great podcasts, they don’t have a clue about making user-friendly websites, so I’ll save you a lot of frustration and give you the RSS feed URL for FoodStuff and Stuff You Should Know. That’s going to wind this up for this week. 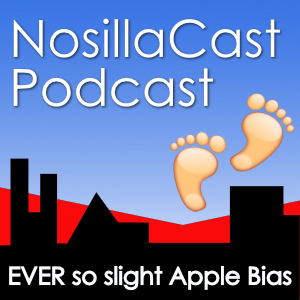 If you enjoyed this episode of the NosillaCast, perhaps you would like to add Let’s Talk Photography and Let’s Talk Apple to your podcatcher of choice. You can find them at lets-talk.ie. You can find all of my other work at bartb.ie. Allison will be back next week and the live show will return on August 6th. Thanks for listening, and stay subscribed.